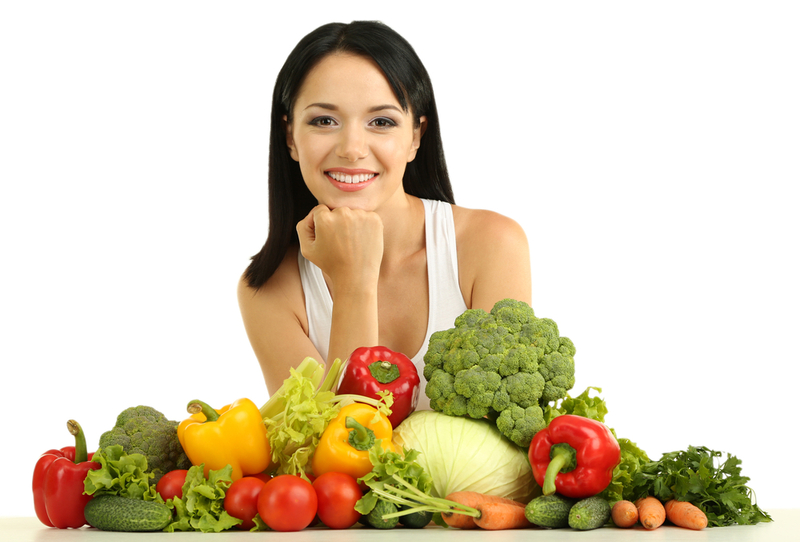 We all know we need to get at least five portions of fruit and vegetables into our daily diet. In fact recent studies suggest this should be closer to ten! 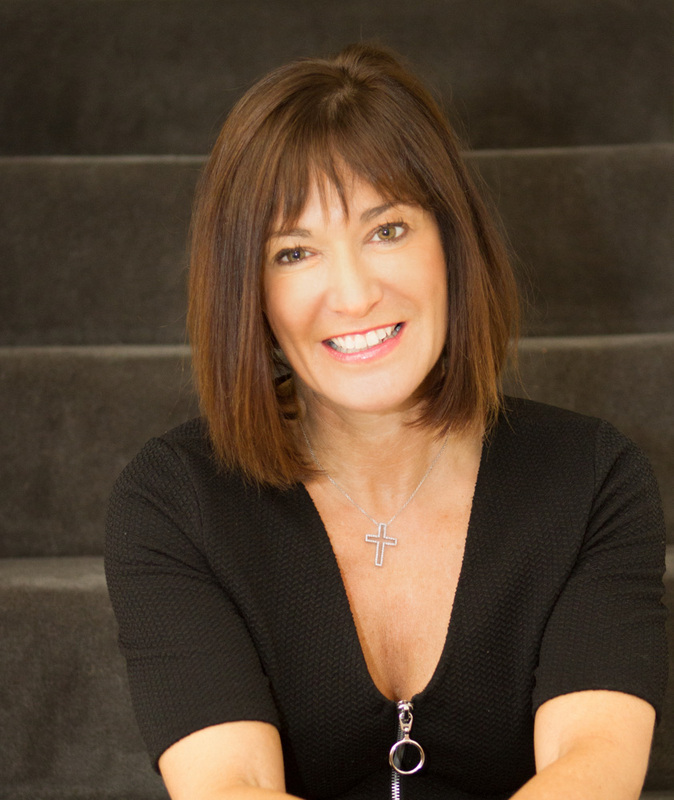 Sometimes even five can be a bit of a challenge but to help you on your way, Clinical Nutritionist, Suzie Sawyer takes the stress out of getting your ‘five-a-day’; you’ll have eaten them before you know it! To start with, it’s worth reminding ourselves of what exactly constitutes a portion; it can often be confusing as it does vary with every fruit and vegetable. The more you eat, the healthier you’ll be. Every meal or snack time is a brilliant opportunity to load up! It is very easy to include two portions of fruit with your breakfast. 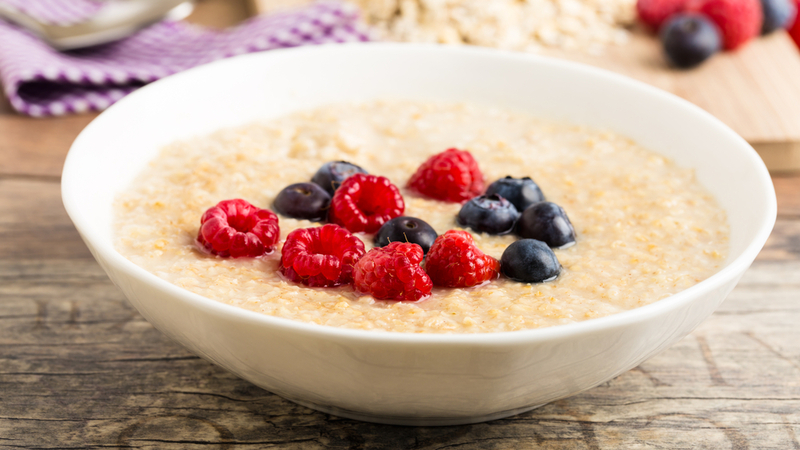 Whatever cereal you choose (porridge being one of the best for sustained energy), you can quickly add a handful of blueberries and a handful of raspberries as a delicious topper. If you’re on the run in the mornings, you can always take a small pot of natural yoghurt to work, together with a tub of mixed fruit – this will also cover two portions. 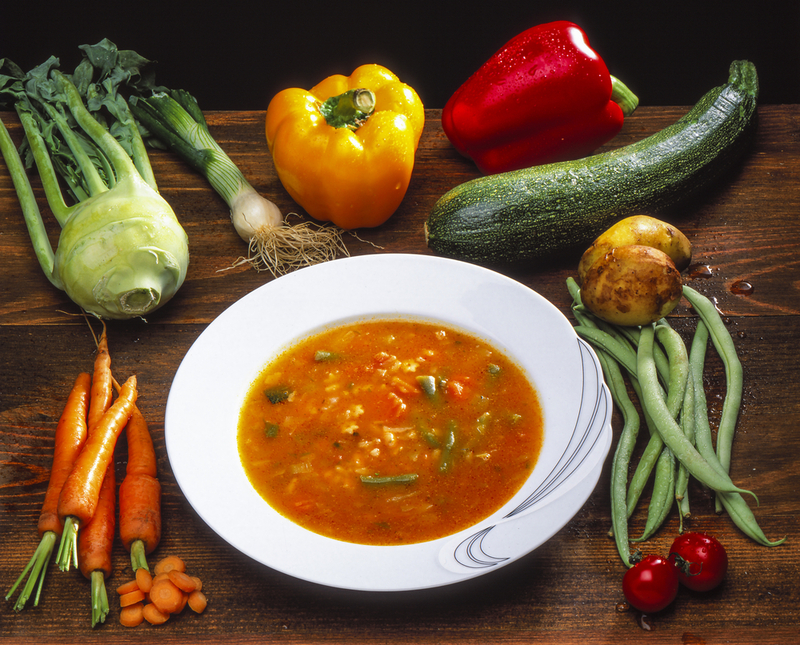 How about making a vegetable soup? 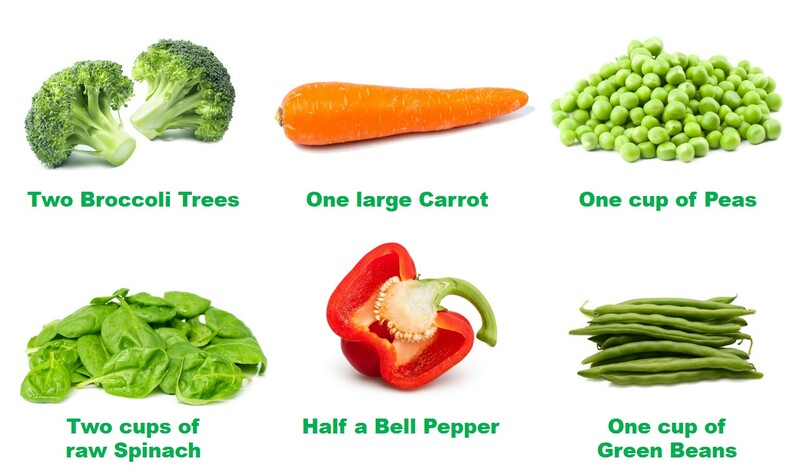 With a wealth of vegetables to choose from you will certainly achieve two portions from a good-sized bowl. Remember potatoes don’t count as one of your five a day, but can still be added to create a delicious soup – just make sure to add enough other vegetables to hit at least two of your five a day. Sweet potatoes (one medium-sized = one portion) however do count and are great in their jackets with some tuna. Sandwiches can be filled with avocado (one portion) and prawn, or cheese and tomato (one medium tomato = one portion), or mashed banana (one portion) with some nut butter on toast. All are great and easy lunch ideas. Snacks can be both healthy and kind to your waistline if you choose the right foods! It’s so easy to slice some cucumber (around 5 cm counts for one portion) and add some low fat cream cheese and smoked salmon. 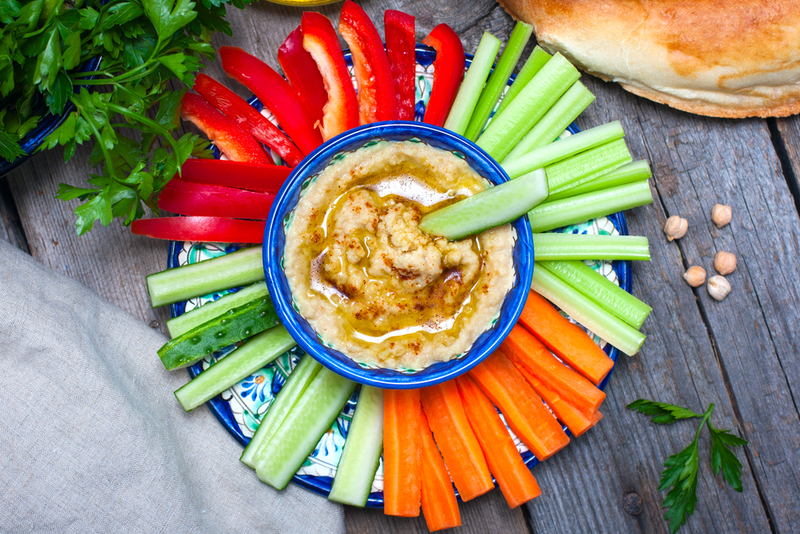 Alternatively, three sticks of celery (one portion) and some hummus, along with some chopped carrots (1 cup) with nut butter or sliced peppers (half a pepper = one portion) are all easily transportable and deliciously healthy. If you want a really quick mid-morning or afternoon snack, then an apple (one portion) and a few Brazil nuts is fulfilling and energy-sustaining. 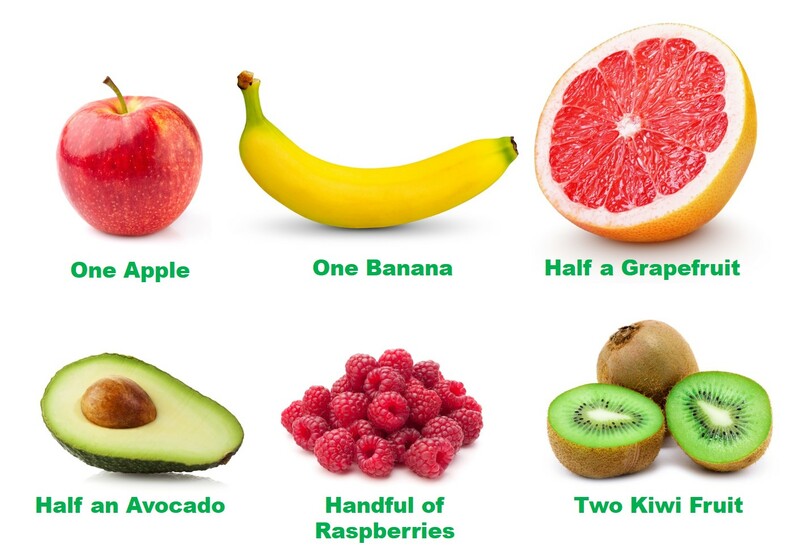 Dried fruit also counts towards your portions (assume around 30g for one portion), but as they’re really high in sugar, try to keep to a minimum; it’s much better to have fresh or frozen fruit rather than dried. If you’re ever low on fresh vegetables when you get home, don’t worry. Frozen vegetables are a great alternative: as they are normally frozen at the time of picking, rather than being stored fresh for a while in a supermarket warehouse, the levels of nutrients are still good. Although some of the flavour and texture can be lost in the freezing, they are a good back-up to always have ready in the freezer. Canned vegetables also have their place. Tinned tomatoes can really help towards your five-a-day: two tinned tomatoes count as one portion. 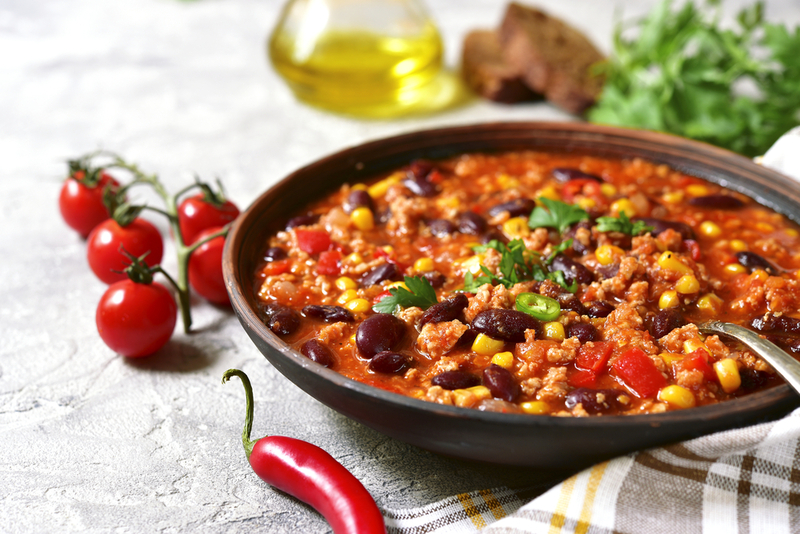 They’re great added to chill con carne, spaghetti bolognaise or pasta dishes. A tablespoon of tomato passata also counts as a portion, so adding both of these to your dish provided two portions before you’ve even added anything else! Pulses such as kidney beans also count. Even if you have to succumb to a pre-packed ready meal, it takes a few moments to chop up some broccoli and add some frozen peas on the side; you’ll still be achieving two portions from your meal. If you have a bit more time, a stir fry should deliver at least two portions of vegetables; a traditional Sunday roast with all the trimmings will generally provide two to three portions. 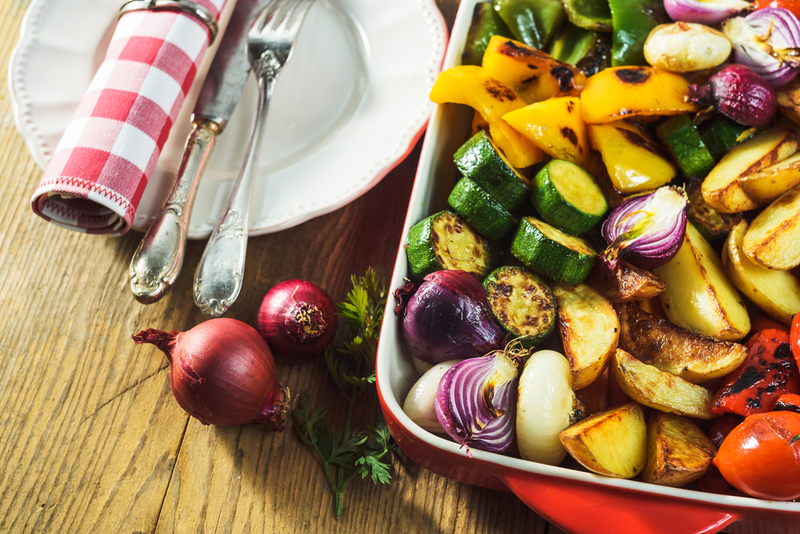 A tray of roasted vegetables is a nutritious side dish for any main meal and should also provide two to three portions. Shop-bought orange juice will generally provide one portion of fruit. However, these types of fruit juices are generally high in sugar which can have a negative impact on blood sugar levels. A home made juice or smoothie will contain far more nutrients because it’s fresh and you know exactly what you’re putting in it: assume one glass equals one portion. So hopefully you can see how easy it is to achieve your ‘five-a-day’ and get even closer to the ‘new’ recommendation of ten a day! The more portions you eat, the more you will benefit from the huge range of nutrients provided by fruit and vegetables.